The Veterans Affairs Department announced Friday that it has begun implementation of the Trump administration’s controversial executive order significantly curbing unions’ ability to use official time to represent employees. The department said about 1,700 of the VA’s more than 300,000 employees use official time, the practice by which an agency compensates a union employee for representational work. 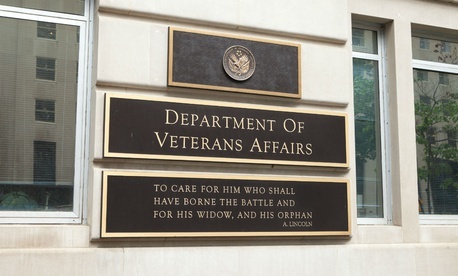 In a statement, Nathan Maenle, principal deputy assistant secretary in the VA Office of Human Resources and Administration, outlined in broad terms what the EO means for employees. In testimony before the House Veterans' Affairs Committee Tuesday, acting VA Secretary Peter O’Rourke said that of the 1,700 employees who use official time, 472 are in that status full time. But the American Federation of Government Employees said the department has provided little in the way of guidance on how to proceed, leading to “chaos” and inconsistencies. The department sent a memo to AFGE Tuesday outlining its intent to implement the executive order and rescind a number of pieces of a collective bargaining agreement first reached in 2011 and then automatically renewed each year since 2014. The memo highlighted 15 provisions of the agreement deemed to be “inconsistent” with the official time executive order. But union officials said efforts to clarify how the department is implementing the order, and what exactly needs to be changed in the CBA, have been stonewalled. “[VA] has failed to respond to any of our requests to clarify this chaos caused by the department,” Roberts said. In the meantime, AFGE said it considers the existing bargaining agreement to remain in full effect until the department and the union reach an agreement on a new contract. And next week, AFGE, along with more than a dozen other federal employee unions, will appear before a federal judge to argue that the Trump administration's recent workforce executive orders are unconstitutional.